Preheat oven to 325 degrees. Grease a 20 cm (8.5") bundt cake pan generously and lightly dust with flour. 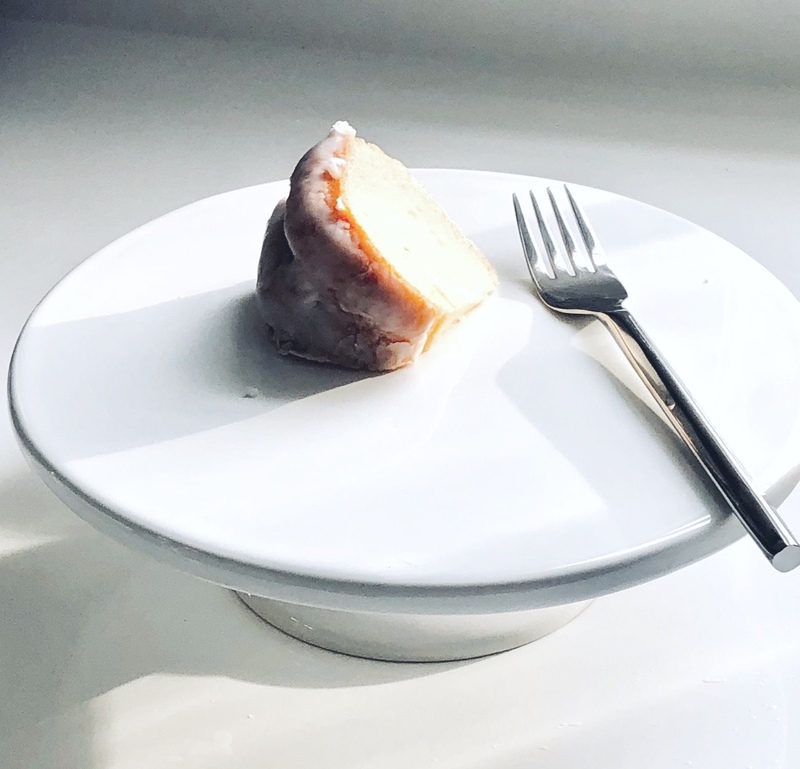 We baked the cake in our beautiful Glass Bundt Cake Pan and it was excitingl to watch it cook without opening the oven door! Cream butter and sugar until light and fluffy. Beat in eggs one at a time. Pour the batter into the cake pan and smooth over the top. Bake for 60 - 70 minutes or until the cake tester comes out clean. Note* Kefir is similar to Buttermilk but a healthier version. Remove the cake from the oven, let cool for 10 minutes. Turn cake over a cake platter and spoon over the blood orange glaze. This is a marvellous entrée salad packed with vitamins and nutrients. You will love this, it does not only taste delicious but its good for you and also visually beautiful! Arrange Arugula leaves on the bottom of a plate. 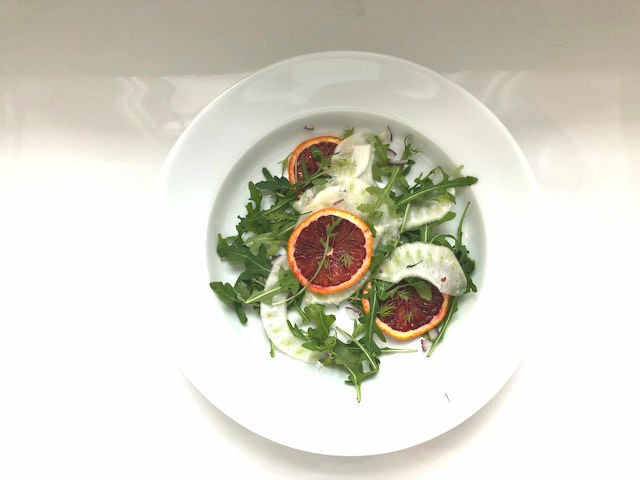 Add shaved fennel and blood orange slices. Scatter diced shallots and fennel fronds on top. Lightly drizzle vinaigrette on salad. In Scandinavia beetroot is a staple in home cooking. With my Nordic background we use Beetroot often in salads, soups, roasted and pickled. We always use it as a food colouring in cakes, cake or cup cake icings and where I long for a red or pink food colour. This versatile vegetable has so many delicious uses.The root has a sweetness to it and is high in antioxidants therefore very good for your health. I love the colour of it, it makes everything beautiful and visually pleasing. 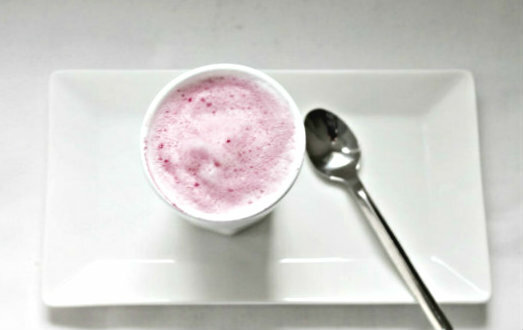 I whipped up this beetroot latte for myself instead of my regular afternoon tea latte. 1 cup organic milk or enough milk to fill your mug reserve 1 tbsp. Instructions: In your mug, add beet root crystals and1 tsp of milk and mix together. Heat the remaining milk in a small saucepan, gently whisking. Do not bring the milk to a boil. Once your milk is heated, froth up your milk with a milk frother. 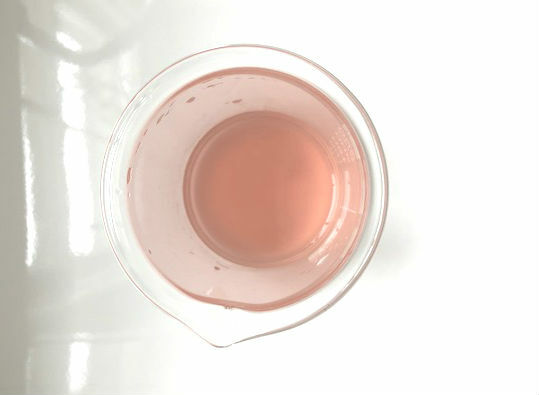 Gently pour frothed milk into your mug, this will create the marbled pink and white effect. Give the latte a little mix with a spoon before you drink it and top with dried beet crystals for a sweet finale. Note: Alternatively use homemade or store bought almond milk. Traditionally this pastry is filled with butter cream a lengthy process in making. The confectioner Fazer in Finland has been making these pastries since the1880s it is a real labour of love. We created a simple version of the pastry that tastes similar by using ready made tart shells. 1 package frozen mini tart shells (Tenderflake). Preheat oven to suggested temperature on the package. Bake tart shells according to package. Whip the cream until thick and fluffy. Fold in the devon cream or vanilla pudding. 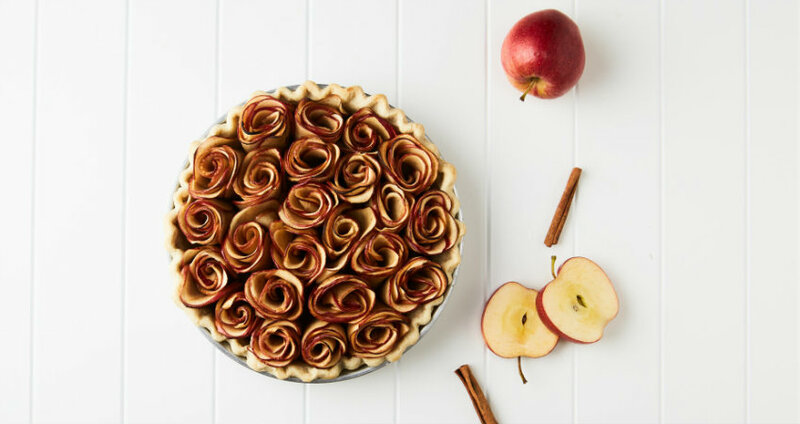 Fill the tart shells with the vanilla filling. Whip the sifted icing sugar with milk and vanilla, slowly add beet juice one tsp at a time for desired pink colour (the beet juice will not alter the taste of the icing). 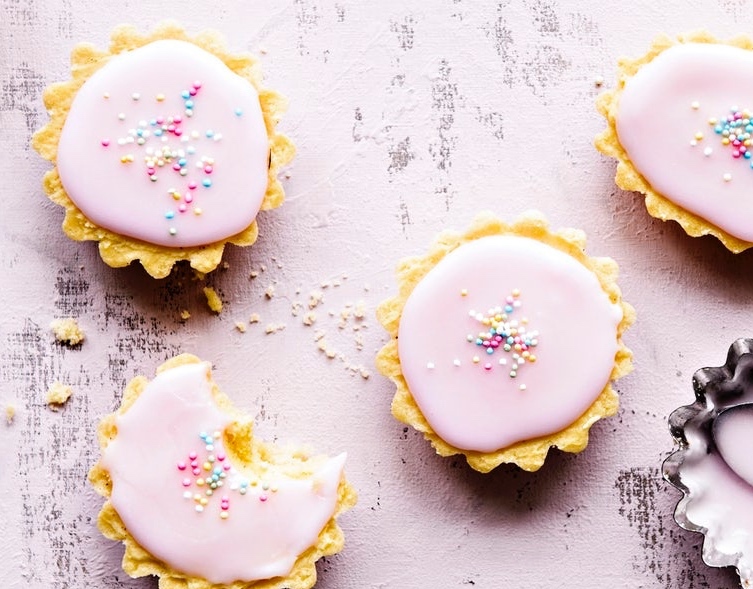 Glaze the tarts with the icing and scatter some sprinkles on top (while the icing is still setting). Note: For any leftover vanilla filling it will keep in the fridge for 3-4 days.